“I don’t know what you do or how you work… but sign me up!” – said no one. But I find that a lot of my worries are laid to rest after I get more information on what it’s going to be like working with them. And that’s why I wrote this blog post: to help ease your mind about what it’s like to work with a web designer. What if I don’t like the website design? Check out their portfolio. Do you like what you see? Most designers have a certain style with their design. If you like their recent work, most likely you’ll be happy with your project as well. Ask how many design revisions you get. If you don’t like their first design – will they start out with designing a brand new web design for you? Do they allow you to give them feedback and ask for revisions to the design? What if you still don’t like the design after their included number of revisions; will they let you pay for additional revisions? Knowing your web designer’s policy on design revisions can help ease your mind. 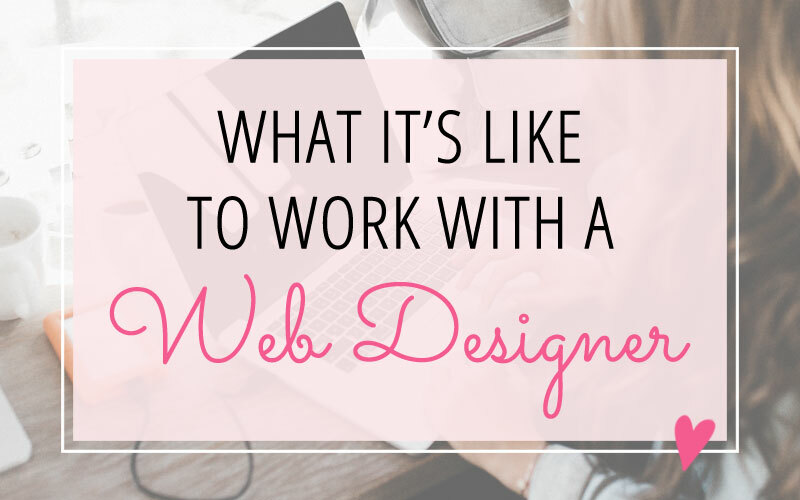 What if the web designer is hard to work with? If you have a good working relationship with your designer, your project will go much smoother – and be more enjoyable for both of you as well. Read testimonials on their website. See if people mention how it was working with that designer. Even better? If you know someone that previously worked with that designer, ask them for their feedback about their experience working with them. Jump on a consult call. If you have questions about working together, see if the designer will chat with you briefly to address some of your questions. Then trust your gut based on how that conversation went. Did you feel like they were being honest? Did you trust them? Did they answer your questions and concerns? Do I have enough time to work on this project right now? Creating a new website can be a time-intensive process. Ask your designer about their project timeline. Ask them what is expected of you – before and during the project. Are there any scheduled meetings or phone calls you need to attend? What kind of turnaround time do they expect you to meet? Once you know what is expected of you, check your schedule and make sure you will be available when needed during the project. Have a busy schedule? Consider asking your designer to extend the timeline before the project even begins. Or you can ask for a later start date, to give yourself enough time to collect all the needed materials before the project begins. I am not very “techy”. What if I can’t figure out how to use my website? Ask your designer if they offer any training on how to use your website after it is completed. Do they just hand it over to you and you’re on your own? Do they offer any training materials? For example, some designers have a video library with general tutorials on using WordPress. Whereas I give my clients a custom user manual for their website. Make sure if you need additional training, it is available to you in a format that will most help you. You understand the process – and you feel comfortable with it. The first step is to fill out my Project Inquiry Form. This lets me know your project needs, timeline and budget. If it seems like we’re a good fit, we can schedule a 30-minute phone call to discuss your website project and I will answer any questions you have about working together. And we can discuss a project start date, timeline, and end date. Following our phone call, I will send you a proposal and contract for you to accept and sign. And you’ll pay your deposit to reserve your spot in my schedule. I work with a limited number of clients at a time because I believe in making each client feel that they are taken care of. 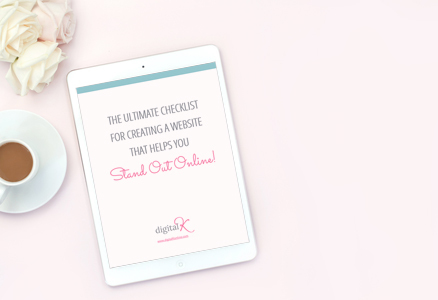 After your project is booked, I will send you a questionnaire to get a feel for your brand, your website goals, how your website should look and feel, and what you want your audience to experience on your website. This is also the time that you work on getting your content gathered together (text, photos, graphics, downloads, etc.). The more clarity you have in your content before the project starts, the better the website structure and design will be. We can setup a 1-hour strategy/planning session (Skype or phone call) if we need to clarify any goals or features of your website. First I plan out the website outline and decide what goes where, based on the website goals and strategy planned during the pre-project phase. I also create a Website Style Guide to be used for your website design. You can provide your feedback and request up to 2 rounds of revisions to the Website Style Guide. Next I work on the website design and present it to you as a mockup. You again will have the opportunity to provide your feedback – and can request up to 2 rounds of design revisions. After you approve the website design, I start creating your website in WordPress (or BigCommerce for larger ecommerce sites). I also add all your content to the website for you. You will be given access to view the website as I am working on it. And you will have the opportunity to provide your feedback and request revisions to the web pages. Before your new website goes live, we both review the website and I make any final revisions. I offer 2 weeks of minor website updates after your website goes live. During this time I will also create a custom Website User Manual for you. And if you need additional assistance from me after those 2 weeks, I do offer ongoing website maintenance services. 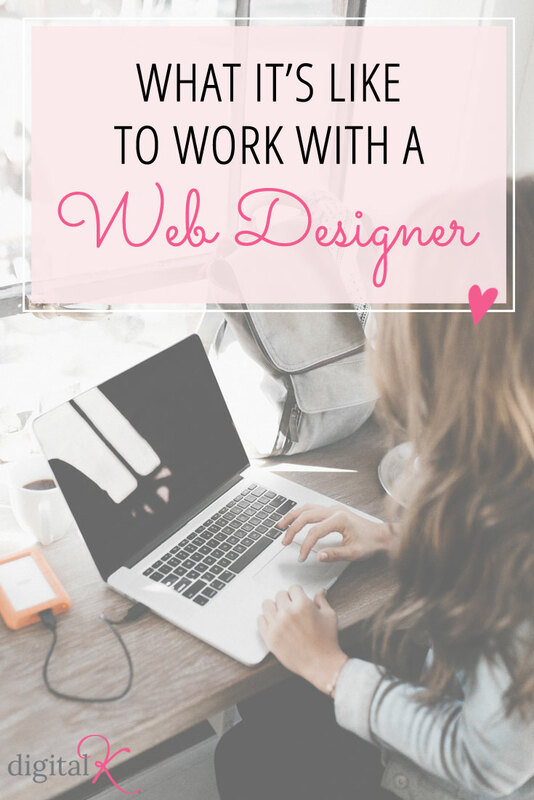 – or you can download my Web Design Services Guide for more information on what it’s like to work with me!